Friday 5th April. I booked the bridge 24 hours in advance as required and for 0745 hours on Saturday 6th April to gain access to the Sharpness Canal after spending the last 5 months working on Wye Invader Two, and following her trip to Monmouth a few days ago, a distance of just over 110 miles did not show or highlight any problems, so with a strong headwind and sharing the water with HERMAS, the main problem for today was clearing the exit bridge, gaining access to the Marina and then mooring up on my own while going into the mooring stern first, all good fun and by 0815 hrs it was job done. 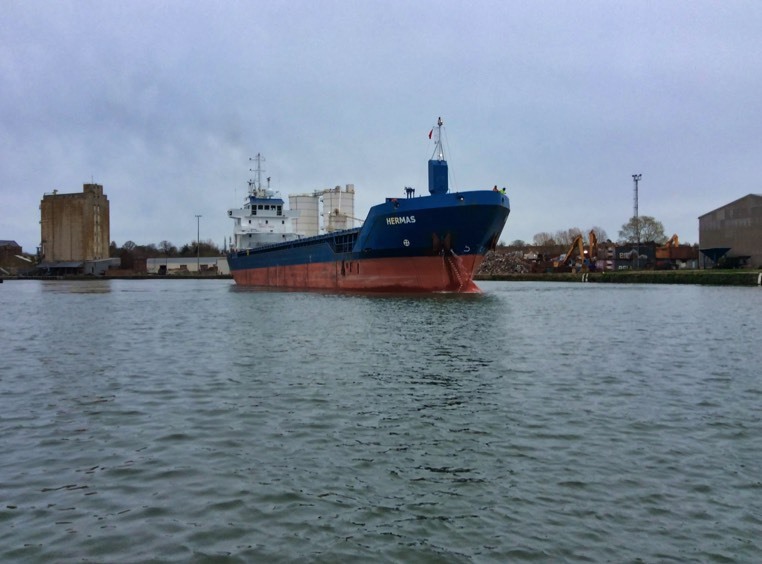 With the Lock in Gloucester out of commission, Wye Invader Two could be spending a lot more time on the River Severn downstream of Sharpness this year!